SafetySpaceTM filter tips have more space between the sample and the filter than do conventional filter tips. This virtually eliminates the risk of an expensive or a contagious sample permeating the filter. 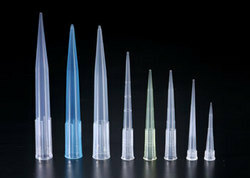 These polypropylene pipette tips are available in white, yellow and blue color. - Ultra Hydrophobic - These low-retention tips have especially smooth tip surfaces that create very low surface energy to help repel liquids. pack of 1000 imported white tips. 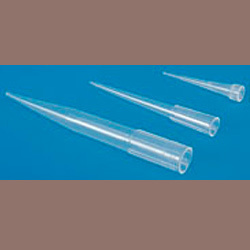 Backed with expertise we are dedicated towards putting across large variety of Pipette Tips.